To occupy an entry desirable position in order to merit in a reputed organization which will be, allowed me to learn as well as give me convenient opportunity to participate in decision-making and provide good service. 2002(July)-2006(Jan) Store Supervisor, Rahim Afrooz Super Store (Agora). Bangladesh. 2007 (Five Month)Industrial training, Equatorial Hotel (Cameron Highland). 2006-2009(Jan) Restaurant Captain, Penton Café, Kampar, Perak. Malaysia. 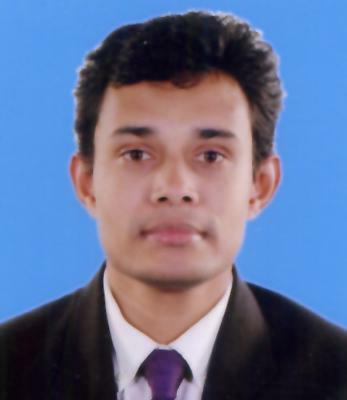 2009(June)- (On Job) Executive-Food Service & Catering, Harvest Rich Agro Ltd.
2006-2008 Diploma in Hotel Management. Kolej Hillciti, Perak, Malaysia. 1997-1999 Bachelor of Commerce. National University, Bangladesh. 1995-1997 Higher Secondary Certificate. Dhaka Board, Bangladesh. 1993 Secondary School Certificate. Dhaka Board, Bangladesh. Having a good experience on Super store operation & Food & Beverage through working under Rahim Afrooz- Super Store (Agora), Equatorial Hotel, Penton Café & Harvest Rich Agro Ltd.
Good Knowledge about Microsoft word, Microsoft Excel, Microsoft Power Point & Inernet. Dhaka Dental College, Dhaka, Bangladesh.